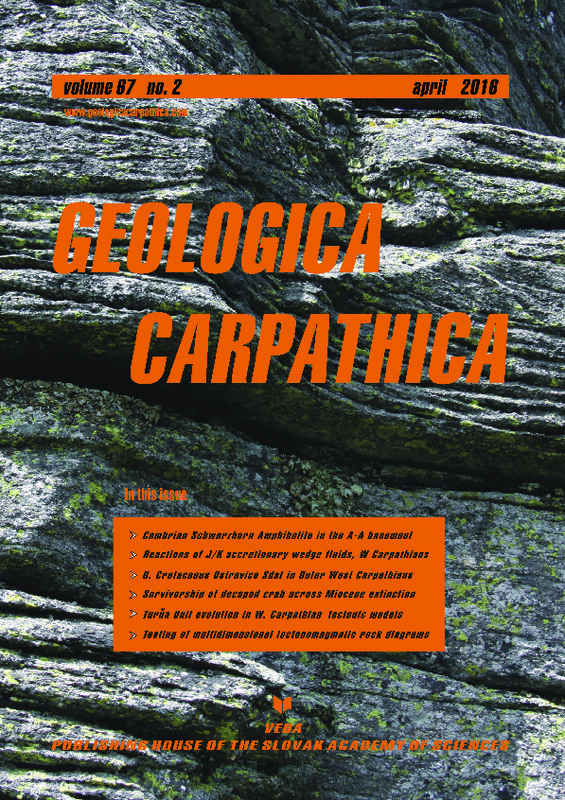 Abstract: The Alpine nappe stack in the Penninic-Austroalpine boundary zone in the Rätikon (Austria) contains a 4×1 km tectonic sliver of meta-diorite, known as the Schwarzhorn Amphibolite. It was deformed and metamorphosed in the amphibolite facies and is unconformably overlain by unmetamorphic Lower Triassic sandstone, indicating pre-Triassic metamorphism. Cataclastic deformation and brecciation of the amphibolite is related to normal faulting and block tilting during Jurassic rifting. Zircon dating of the Schwarzhorn Amphibolite using LA-ICP-MS gave a U-Pb age of 529+9/–8 Ma, interpreted as the crystallization age of the protolith. Geochemical characteristics indicate formation of the magmatic protolith in a supra-subduction zone setting. The Cambrian protolith age identifies the Schwarzhorn Amphibolite as a pre-Variscan element within the Austroalpine basement. Similar calc-alkaline igneous rocks of Late Neoproterozoic to Early Cambrian age are found in the Upper Austroalpine Silvretta Nappe nearby and in several other Variscan basement units of the Alps, interpreted to have formed in a peri-Gondwanan active-margin or island-arc setting.